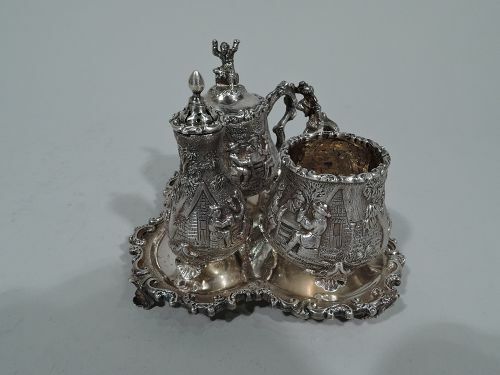 George II sterling silver cruet stand. Made by Samuel Wood in London in 1752. Cinquefoil base with 4 double-scroll mounts supporting 7-ring frame (of which 2 for stoppers). Each mount terminates in scallop shell foot. Central knopped pole with baluster terminal and scrolled open finial. Mounted asymmetrical cartouche engraved with armorial. Hallmarked. 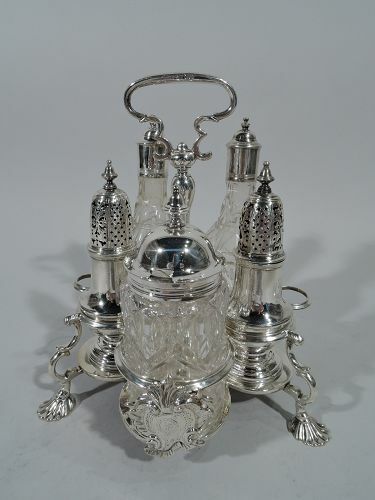 Sterling silver and glass jam jar. 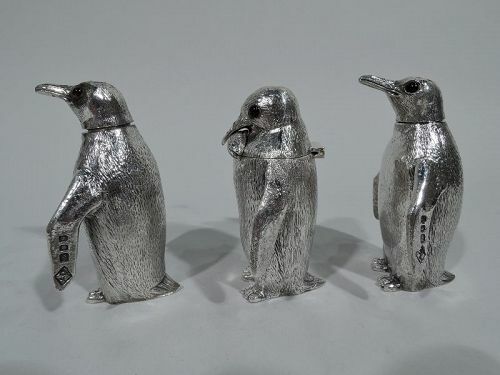 Made by Gorham in Providence, ca 1950. Jar is clear glass with horizontal lobing. 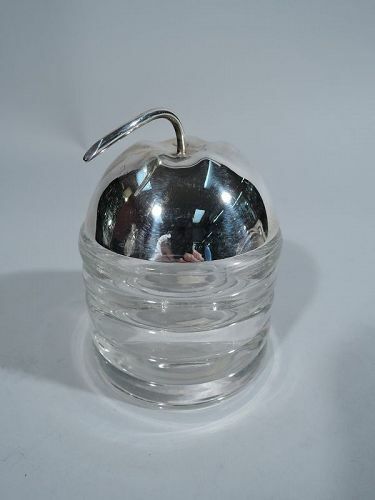 Cover is silver and in form of apple half with stem. Cover hallmark includes no. 23. Nice condition.